Among the Grey is the second full length album by Louisville’s Cheyenne Mize, and serves as a sturdy and confident declaration of musicality for the young musician. Though known most for her abilities on violin, the majority of the album finds itself channeling a much larger array of sound – several songs reach some pretty intensely thick textures with several layers of instruments. The recording process comes close to being visible, and the intentionality of recording each song – sometimes each instrument within those songs – in a different manner throughout several rooms of a Louisville church makes each song a unique statement from the rest. Mize’s voice is clear, distinct, and commanding as her arrangements rattle through beneath lyrics that ask questions and make statements that are equally likely to be addressed to society at large as they are to be to herself. The music feels insightful and exploratory in ways that nearly anyone can appreciate and relate to – the turn-of-phrase/two-sided-look between “Whole Heart” and “Heart Hole” is equal parts clever and meditative, and much of the rest of the album manages to ride this same line. There’s an emerging upper-echelon of nationally known and recognized Kentucky musicians – including the likes of Jim James, Ben Sollee, Daniel Martin Moore, and Will Oldham. 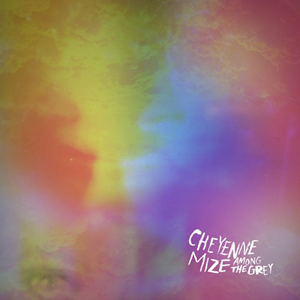 With collaborations and contributions to the works of the latter three, and a solid album in Among the Grey, it’s no coincidence that Cheyenne Mize is on the path to joining their ranks. I Liked – Among the Grey! !, Whole Heart! !, Through the Window Pane!, Have You Seen!! !, Give it All! !, As it Comes! !, Wouldn’t Go Back!! !